EVOline Port Push white glass fits flush with the worktop surface. The frame and the cover keep the worktop fully closed. 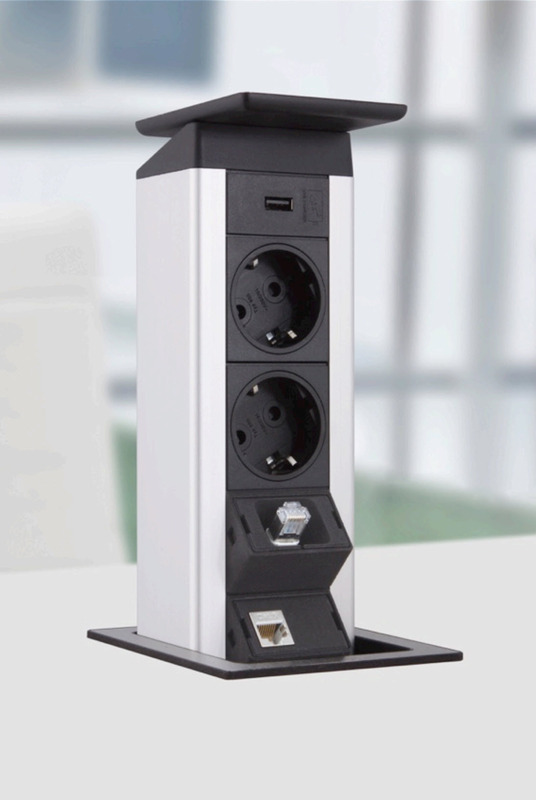 Because of the Push-To-Open function, an uncomplicated push lets the unit arrive above the desktop. 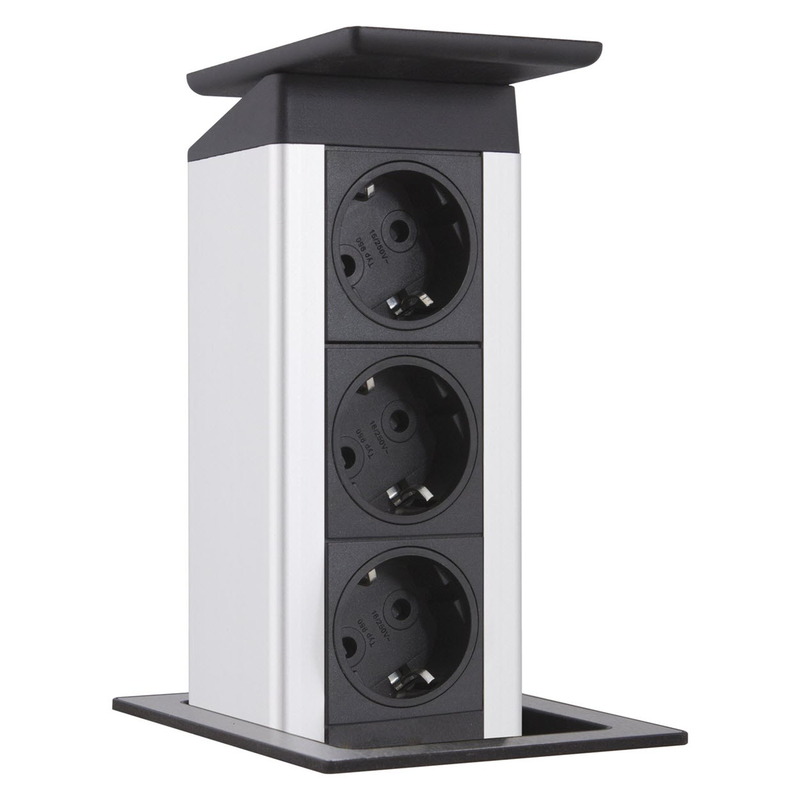 The soft-sliding mechanism makes it almost effortless to slide the unit upwards to combine power and data cables. 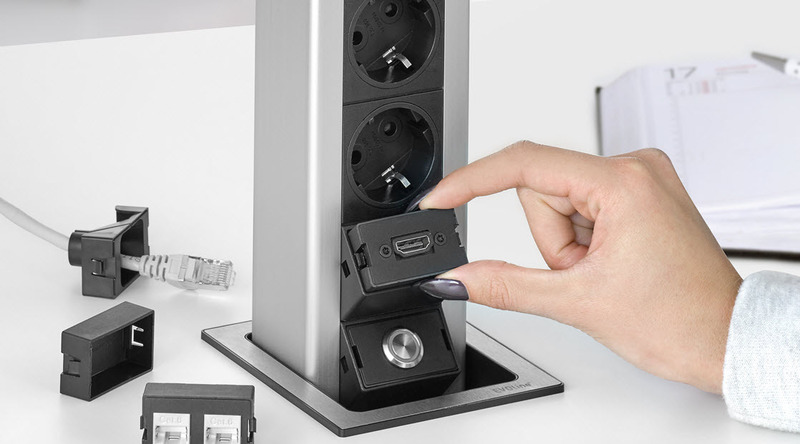 With a soft finger-touch, the unit closes perfectly with all cables connected. 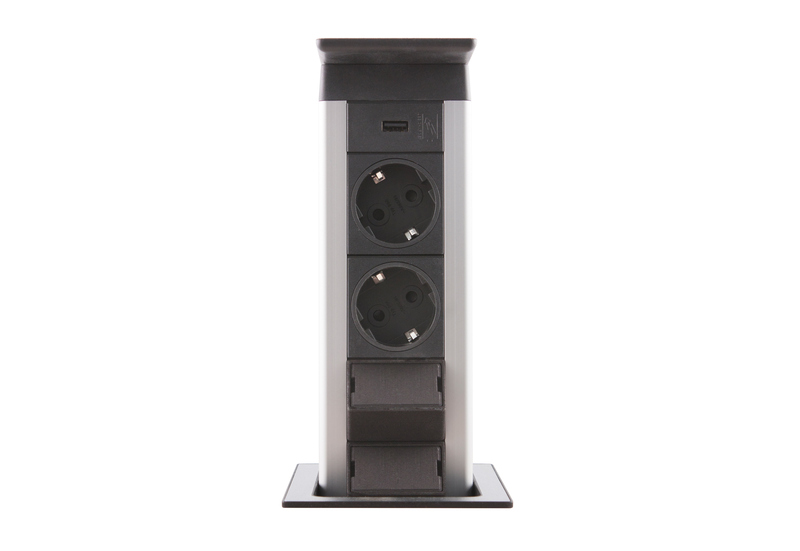 The Port Push can be customized to client designations. 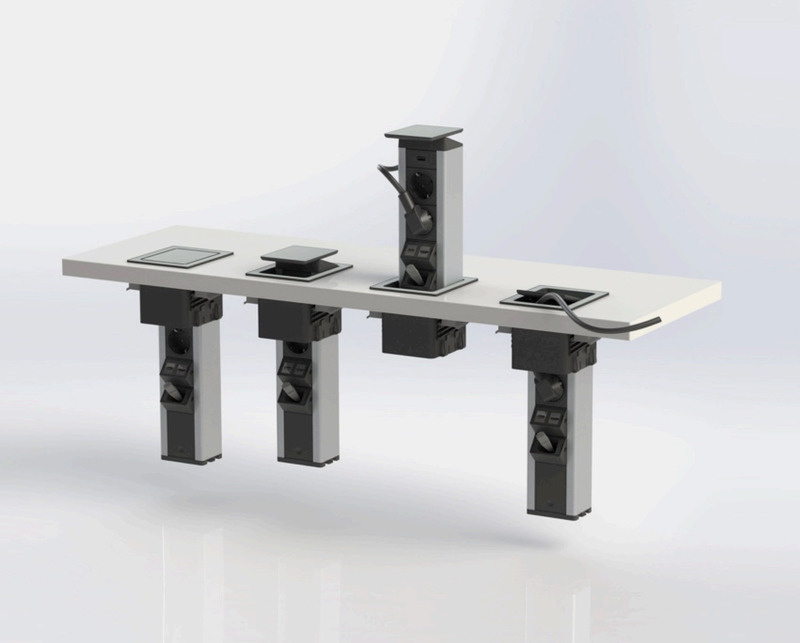 Because of the exchangeable modules, the configuration can be modified by the customer as specifications might change over time. EVOline Port Push white glass fits flush with the worktop surface. Why didn’t I consider about this before…? The EVOline Port Push 3x is one of those ideas that makes you wonder why no one thought of it before. 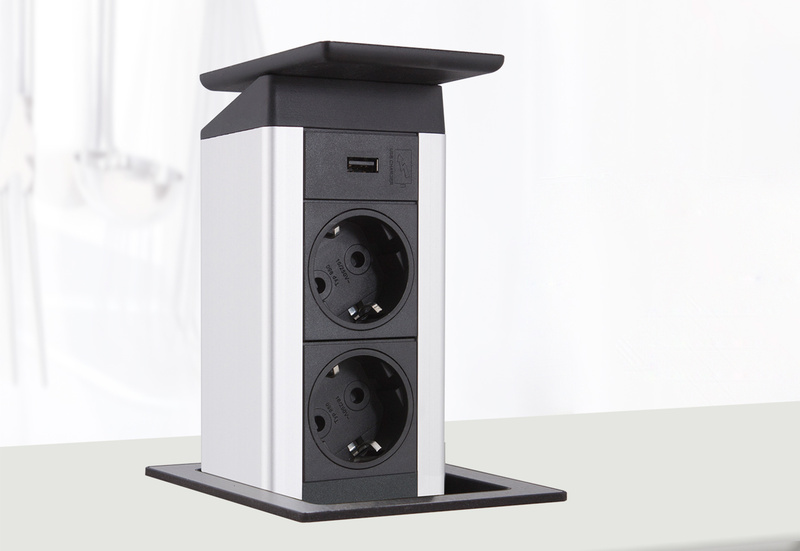 The Port Push replaces bulky extension cords, cable tangles, and interfering sockets. 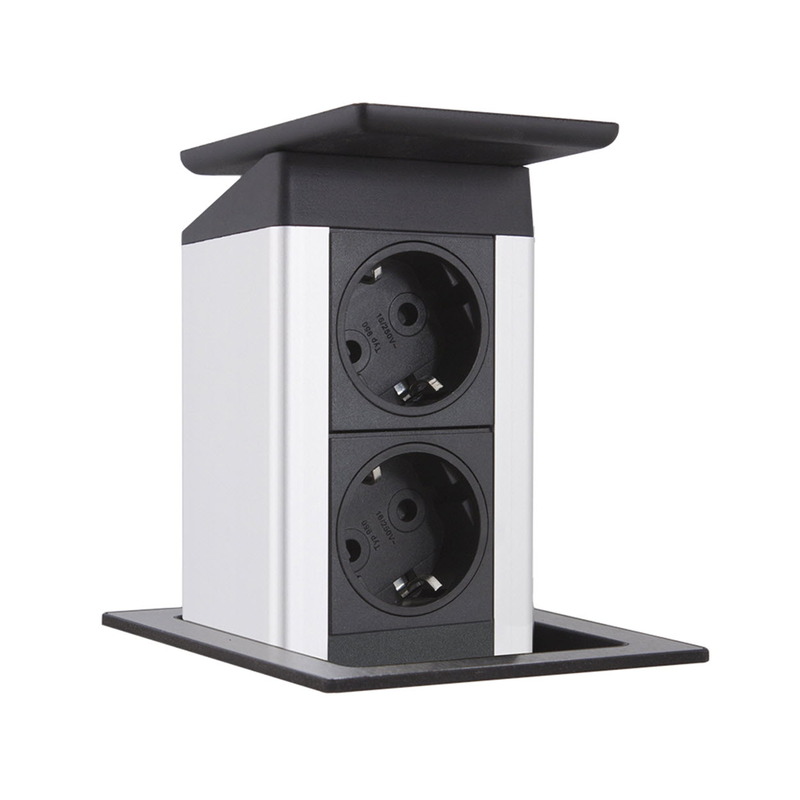 By using the Push-To-Open function, the housing is released and rises over the work surface, enabling an easy pull up to connect power and data cables. With a light touch of a finger, it retracts with joined leads. Slide dampers ensure a soft closing. 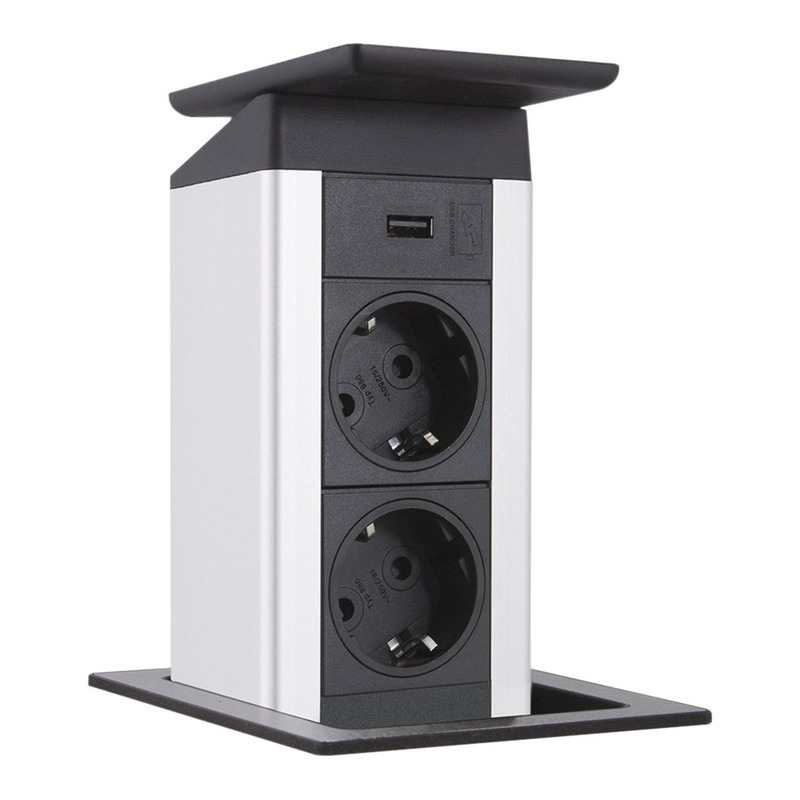 The authorized rocking cover allows a space-saving cable routing within the desk.